Twenty young people attended the event on 28 February, held at YouthLink Scotland’s offices in Edinburgh. They represented each of the current 17 CashBack for Communities Partners and their projects across diversionary youth work, sport for change, creativity and journey to employment themes. It was a great opportunity for young people to share their honest views of the programme and the impact on their lives. Many of the young people shared their personal stories about their backgrounds and personal challenges prior to taking part in the programme. Other positive impacts felt were meeting new people, becoming more competitive, increasing independence and getting along better with others. Many felt they benefitted from the knowledge and opportunities that CashBack Partners provide, particularly referrals or work with organisations for further or specialised help. 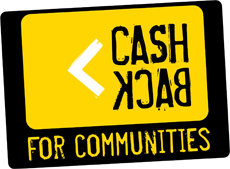 Massive thanks to everyone that came along on the day, for sharing what CashBack for Communities has meant to them and how they think it could be enhanced to support others in the future.